Stainless steel case. 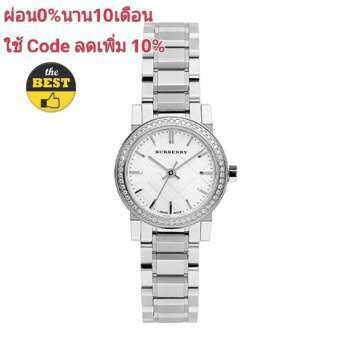 Stainless steel bracelet.Silver and white check-stamped sunray dial.Swiss quartz movement.Stainless steel case. Stainless steel bracelet. Silver and white check-stamped sunray dial. Case set with 54 diamonds. Water resistant 50 meters. Case 26mm.